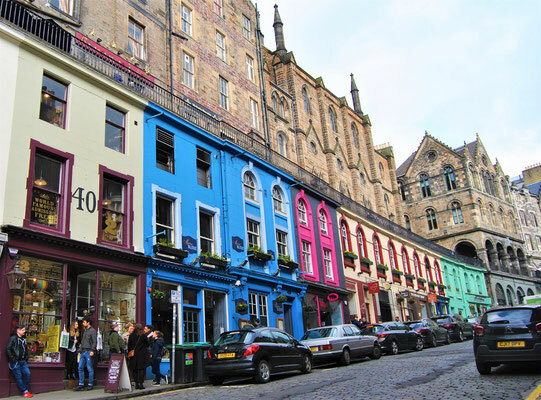 Before I started planning a trip to Edinburgh, I had no idea this city had such a great influence on the Harry Potter books. 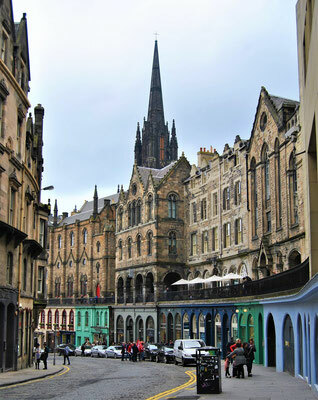 But during my research on the internet I found out that there are several places in Scotland´s capital which inspired the Harry Potter author J.K. Rowling. 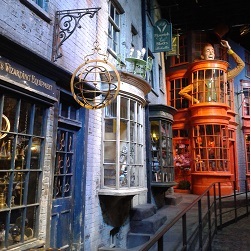 All these places are well worth visiting and Potterheads should not miss them. The Elephant House cannot be missed because usually there are many Harry Potter fans queuing in front of it to have a coffee in the same room than J.K. Rowling when writing some parts of the Harry Potter books. 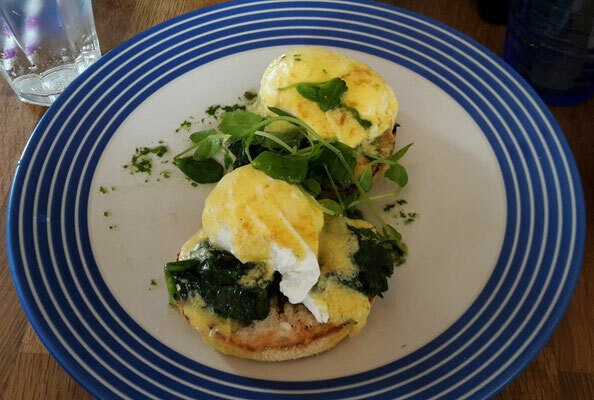 The café calls itself "The birthplace of Harry Potter". 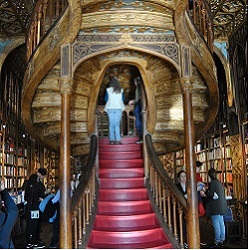 Inside you will find some photos showing J.K. Rowling while she sits in the café. The highlight is the toilet because Harry Potter fans from all over the world wrote countless Harry Potter slogans on the walls. 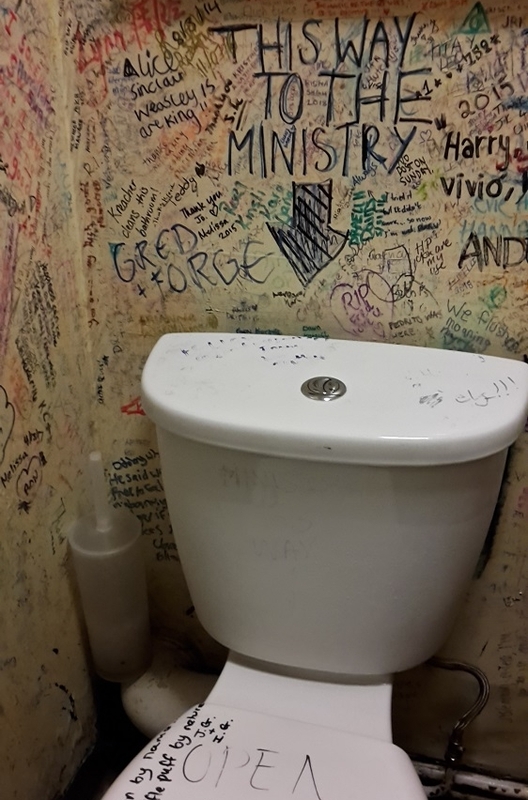 Conclusion: Only for patient Harry Potter fans because you may have to wait a while to get a table; impatient fans like me, should only go to the toilet. 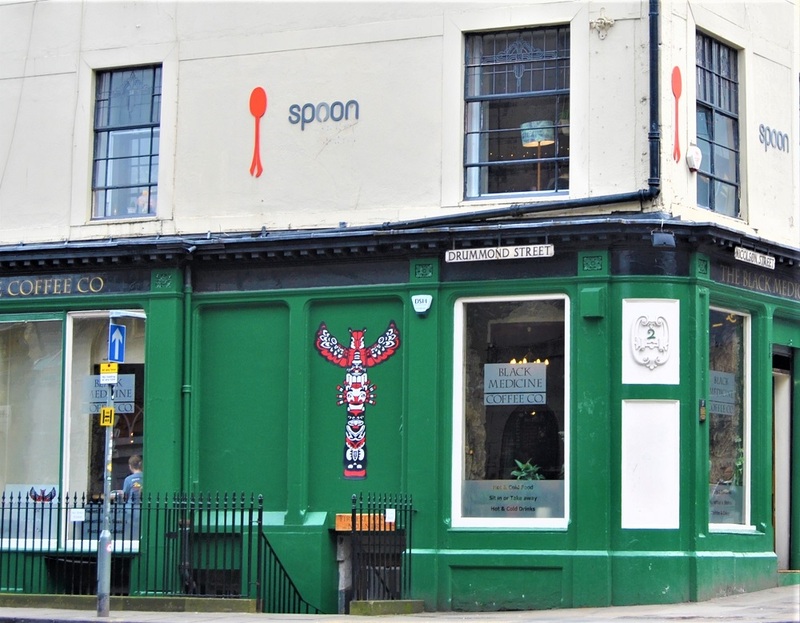 You wouldn´t guess that the Spoon Café has a connection to Harry Potter when going there for a coffee or a snack because the café does not use the brand Harry Potter for advertising purposes. From the outside, the cute café seemed inconspicuous but from the inside it is designed with loving attention to detail. You can drink a cup of coffee or have delicious breakfast, lunch and dinner in a cosy atmosphere (without crowds of Harry Potter fans). 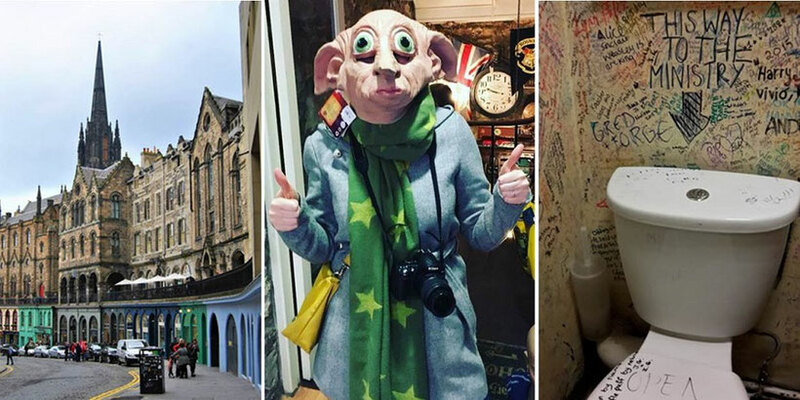 But real Potterheads know in this cute café J.K. Rowling spend many hours writing some parts of the world famous Harry Potter books. 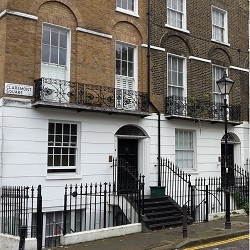 The café is located on the first floor of a house at Nicolson Street. 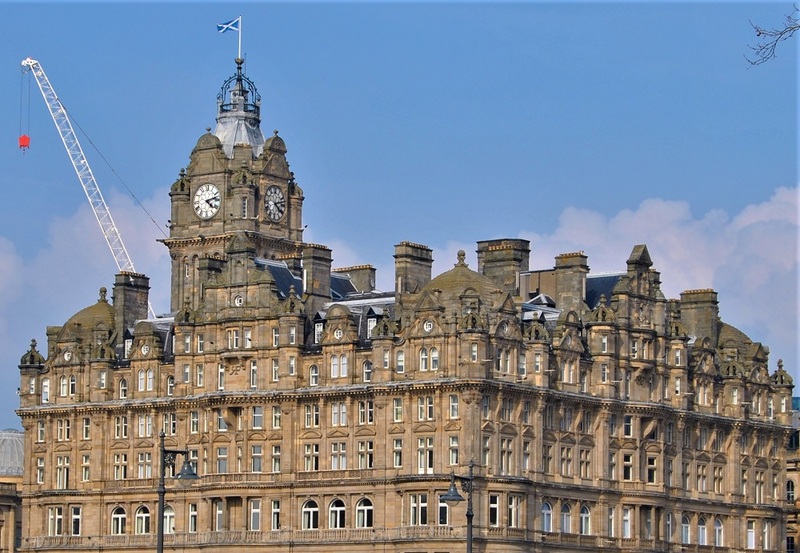 When J.K. Rowling had to stop writing in public because everywhere she showed up, she arouse public interest, she decided to continue writing in the Balmoral Hotel. In room 552, which is today called "The J.K. Rowling Suite", she finished the last book "Harry Potter and the Deathly Hollows" in January 2007. Fans who want to spend a night in the luxurious suite have to pay approx. 1000 GBP. The exclusive 5 star hotel is located in Edinburgh´s New Town at Princes Street close to the Scott Monument. 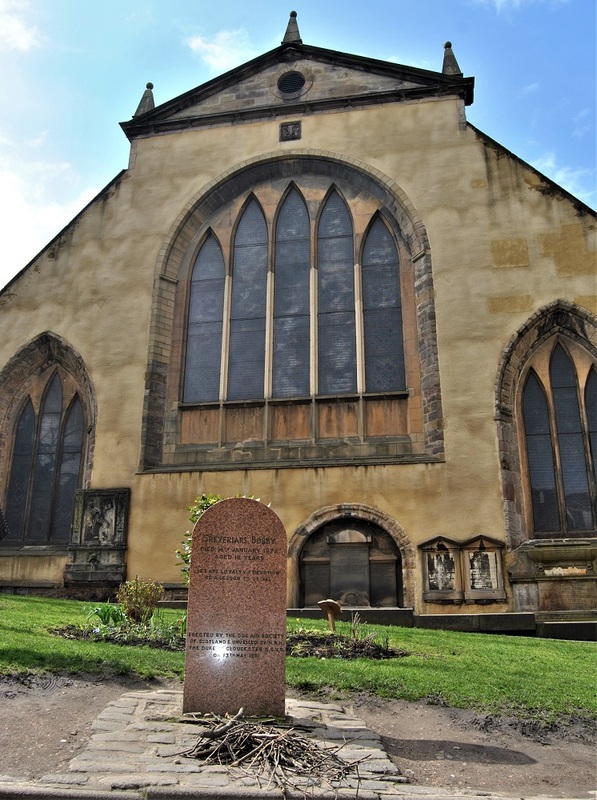 At Greyfriars Kirkyard J.K. Rowling found some names she used for the Harry Potter books. 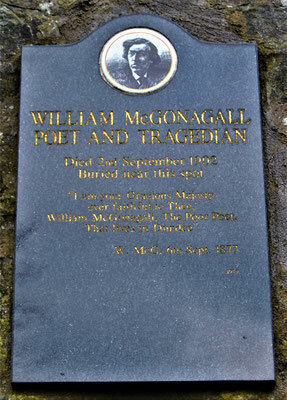 For example you will find the gravestone of William McGonagall here. 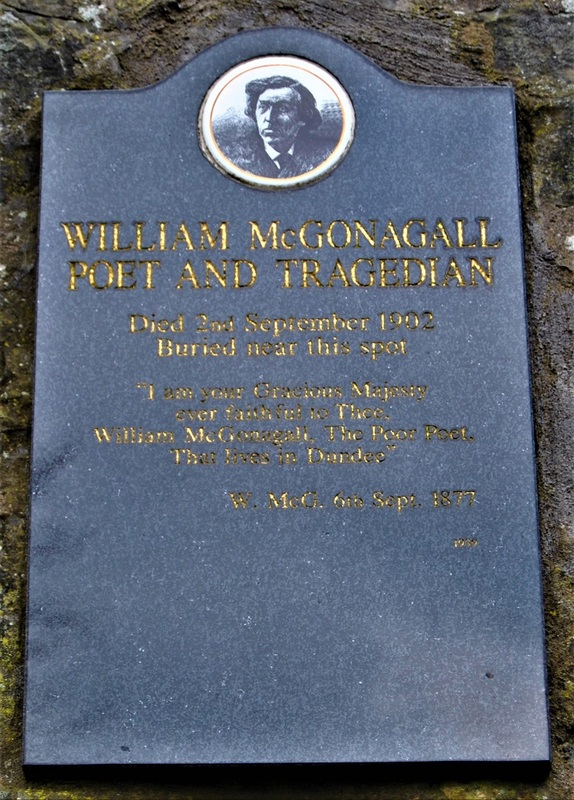 The British poet was the name giver of professor McGonagall, head of Gryffindor House and transfiguration professor. 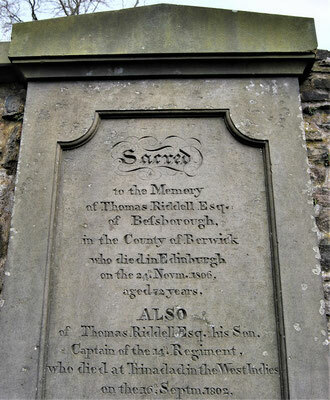 Moreover you will find the grave of Tom Riddle or Thomas Riddell at the graveyard. Access the main entrance, pass the small church on the left side and go to the back part of the area. There you will find both graves. The one from Lord Voldemord aka Tom Riddle is also listed in Google Maps. 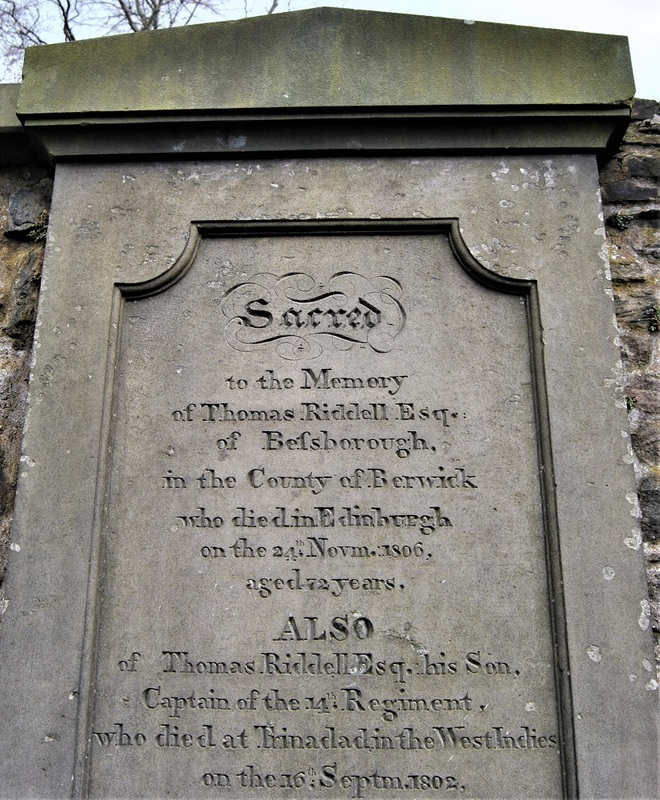 Conclusion: When going to the graveyard don´t forget to bring a stick for Bobby, a skye terrier who is well-known for his loyalty to his owner. Directly behind Greyfriars Kirkyard is the elite school George Heriot School. 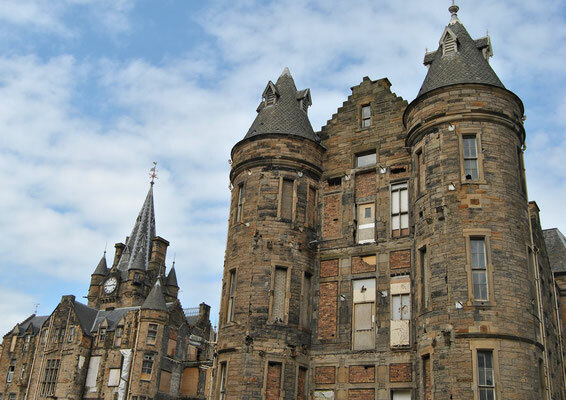 Exactly like Hogwarts, school of witchcraft and wizardry, the school has four towers and four houses. 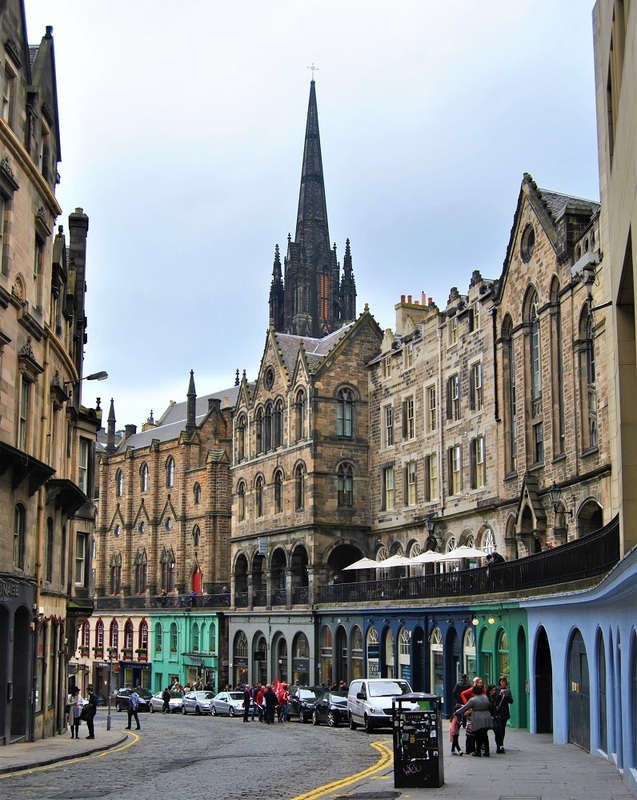 But in Edinburgh these houses are named Greyfriars, Lauriston, Raeburn and Castle. Also from the outside the beautiful building from 1628 reminded me a bit of Hogwarts. 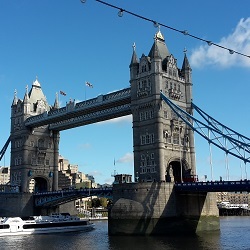 Conclusion: I don´t know if it´s possible to enter the school as a tourist but I think people should only admire the building from the outside and leave the students alone. The colourful Victoria Street is not only a must-see spot for tourists, the beautiful street also inspired the Harry Potter author when thinking of Diagon Alley. 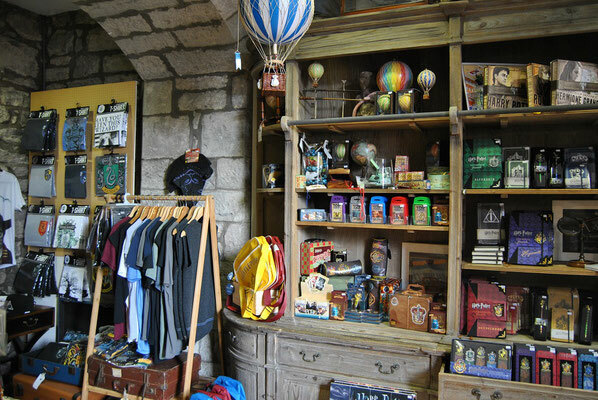 Furthermore, two great Harry Potter shops can be found here. 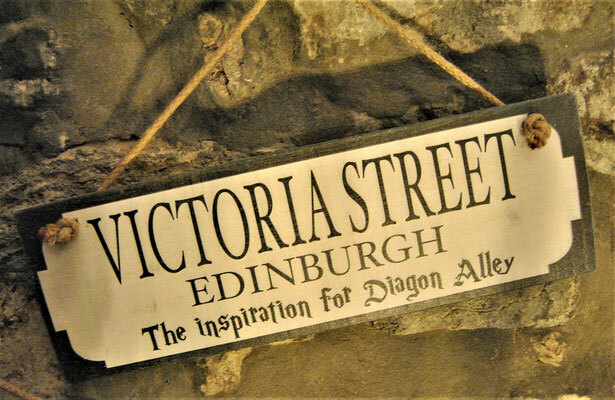 Conclusion: A must-see tourist attraction in Edinburgh but honestly I don´t see similarities between Victoria Street and Diagon Alley. 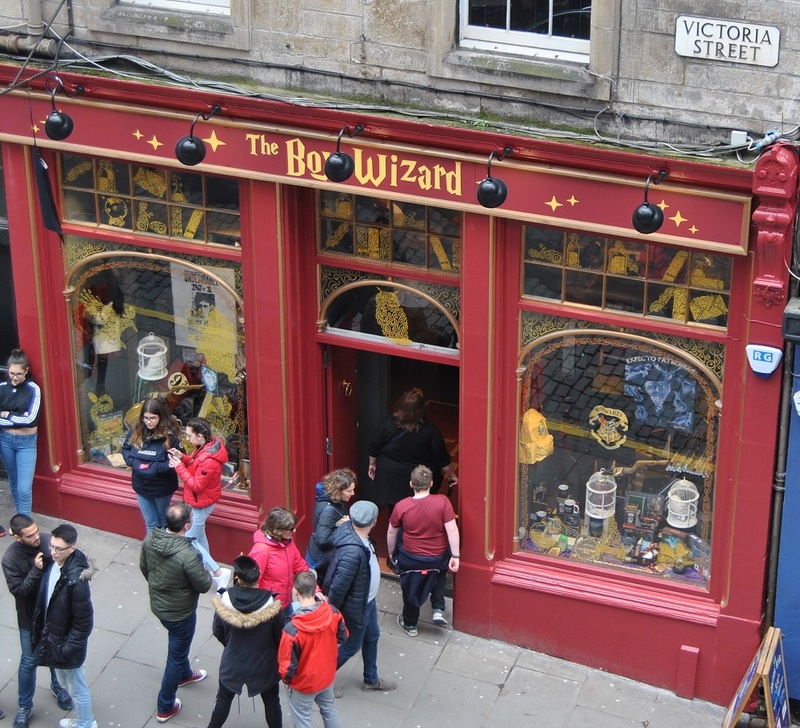 20 years after the first Harry Potter book "Harry Potter and the philosopher’s stone" came out, a new Harry Potter shop was opened at Victoria Street. 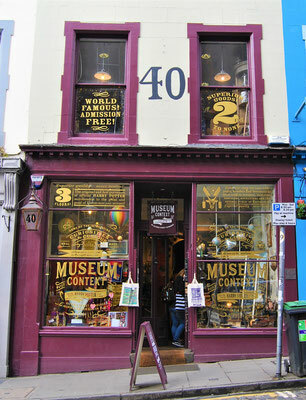 Although there is a sign saying "Museum" it is a typical Harry Potter shop designed with loving attention to detail. 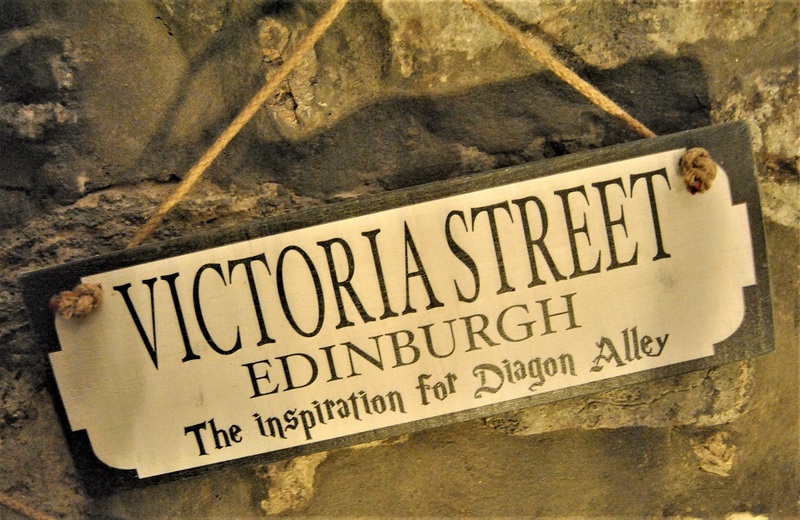 Conclusion: Because Victoria Street is a must-see spot for Edinburgh visitors, Harry Potter fans should also visit this shop. 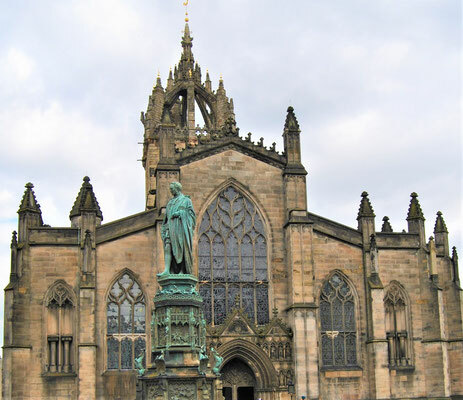 St Giles Cathedral is located at the famous Royal Mile, which goes from Edinburgh Castle to Palace of Holyroodhouse. 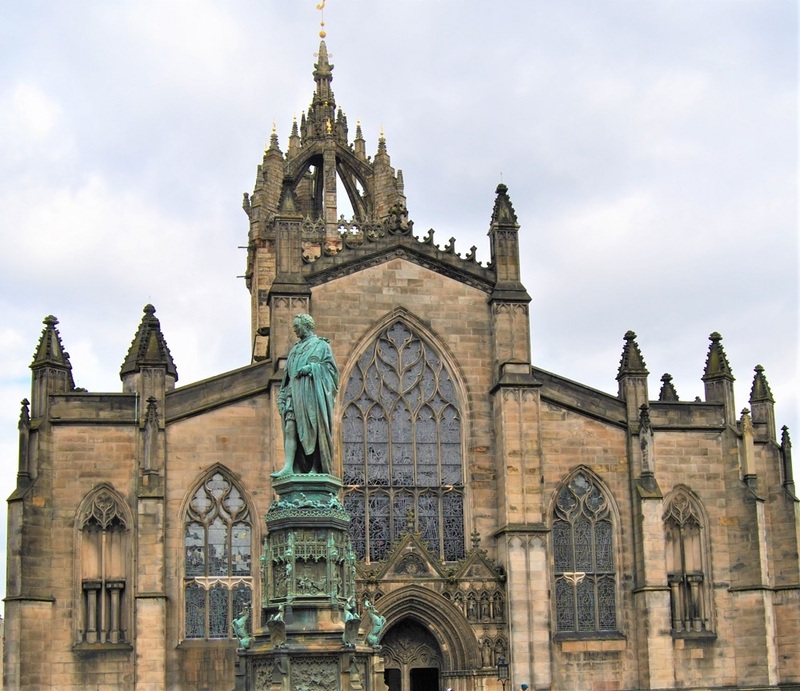 The former cathedral is the main church of the Church of Scotland. There are rumours that also this church inspired J.K. Rowling when writing the Harry Potter books. To make some photos inside the church you have to buy a photography permit for 2 GBP. Conclusion: A beautiful church and a must-visit spot for architecture lovers, which indeed reminded me a bit of Hogwarts. Opposite of St Giles Cathedral is the City Chambers of Edinburgh. 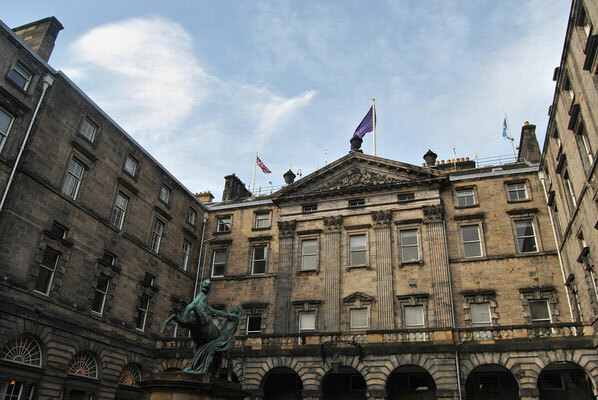 In the open courtyard, only a few steps from the Royal Mile, you will find the handprints of J.K. Rowling on the ground. 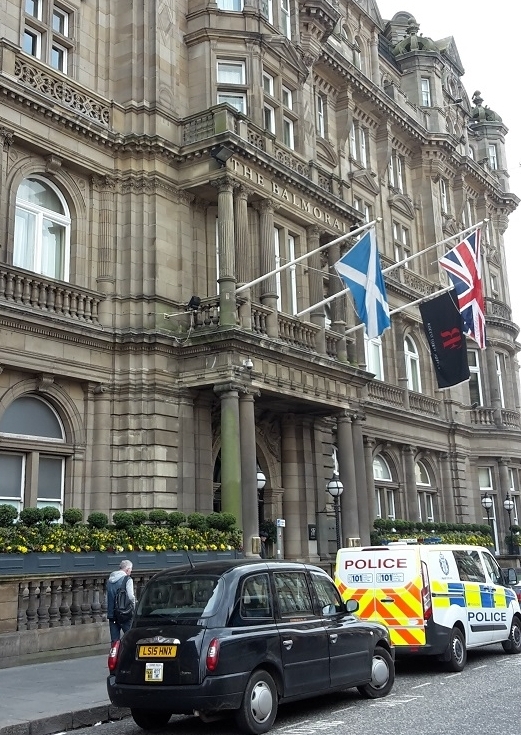 They were made when she won the Edinburgh Awards in 2008. When receiving the award she said: "It is an absolute honour to receive this award, as Edinburgh is very much home for me and is the place where Harry evolved over seven books and many, many hours of writing in its cafes." 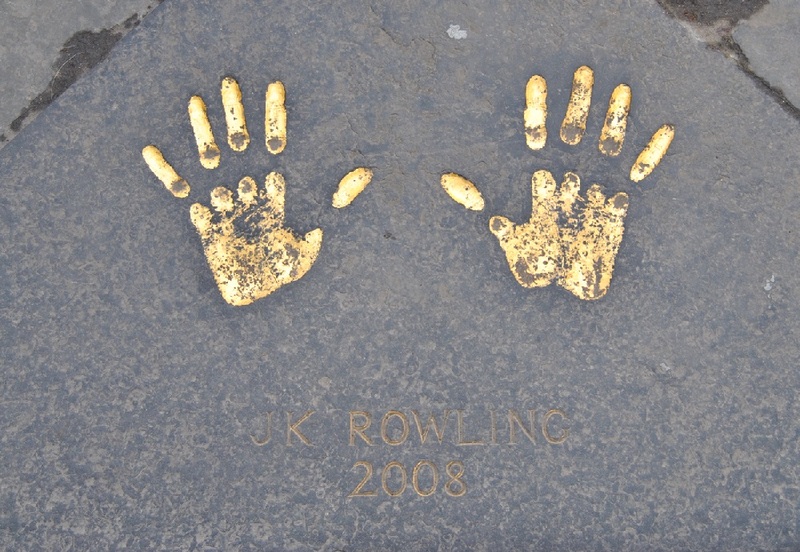 Conclusion: Unfortunately, my hands didn´t really fit in the handprints of J.K. Rowling. 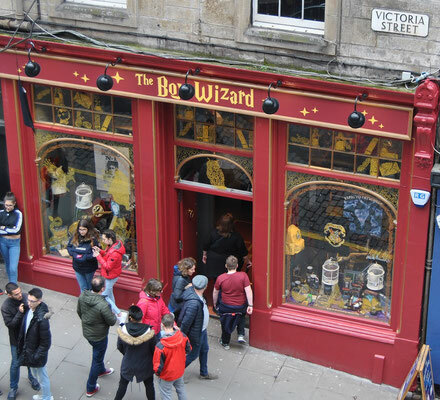 In Edinburgh there are several Harry Potter souvenir shops, where Potterheads can find everything they need. At Victoria Street there are two nice shops but also close to the Spoon Café I saw a nice HP souvenir shop and I guess there are a lot more. Conclusion: As a Harry Potter fan in Edinburgh no wishes remain open, except for your personal letter from Hogwarts. 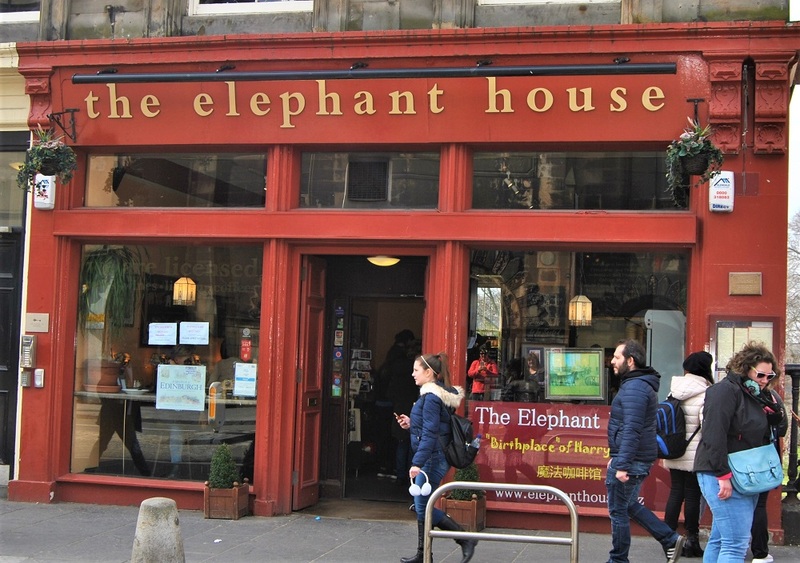 The pub "The Dog House" is one of the newest Harry Potter pilgrimage site in Edinburgh. You can try a butterbeer here, which is a well-known drink from the Harry Potter books. A pint costs approx. £4. Conclusion: Honestly I think butterbeer is kind of disgusting! 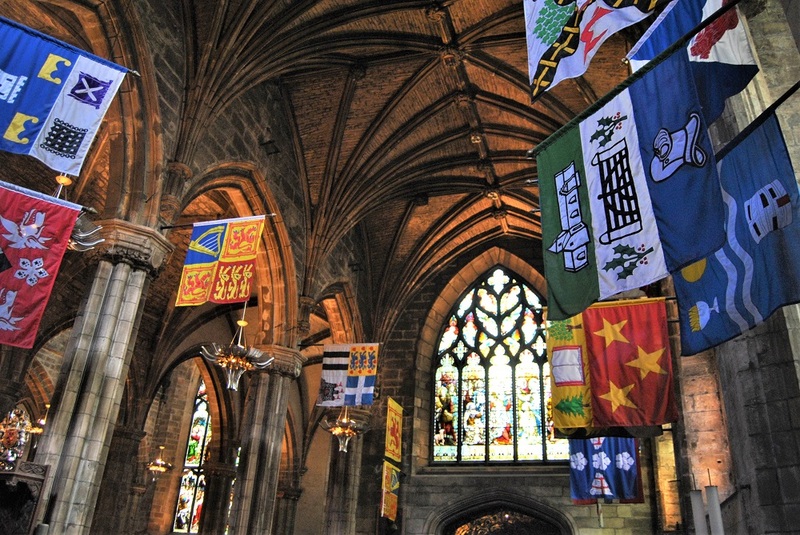 Who does not want to discover all these Harry Potter fan places on his own can book a guided Harry Potter Tour in Edinburgh. I didn't know that there was a Harry Potter Museum in Edinburgh! How cool is that. 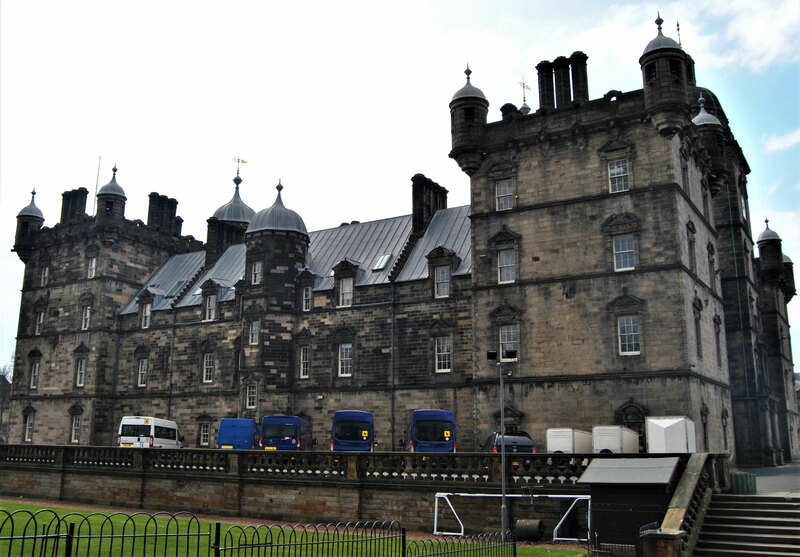 I would love to admire the George Heriot School though. It really does remind me of Hogwarts! I wish I had seen this before traveling to Edinburgh! I missed so many places. I love this!! 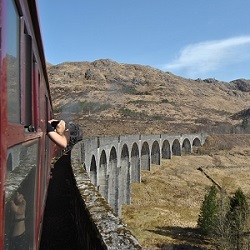 I’m a huge Harry Potter fan and will definitely have to make it to all of these places someday!